Our My Top 5 series showcases a Houstonian impacting the culture of the city and shaping its culture, asking them to share their favorite things to do in their free time. 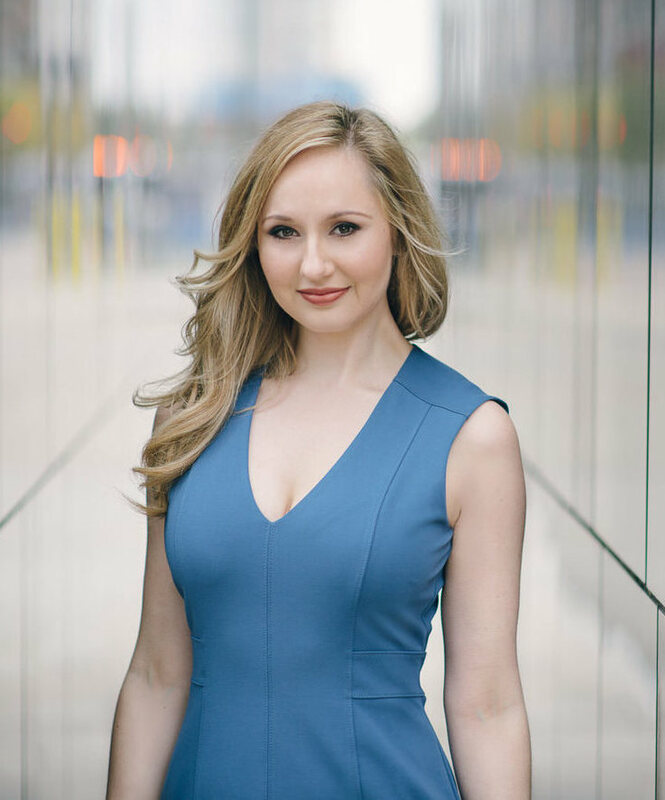 This week we’re happy to feature opera singer Megan Mikailovna Samarin, a Houston Grand Opera performer appearing in two productions this fall. Houston’s Parks – Houston has so many amazing parks! I love to walk with my puppy, especially in Buffalo Bayou Park, which stretches from Downtown to River Oaks. This park has everything! Although it will be closed for a few months for restoration following Harvey, the massive 2-acre dog park includes great ponds for pups to swim and play in. You can also walk to the Lost Lake and have a coffee and some brunch at The Dunlavy. Catch the Waugh Bridge Bat Colony at sunset, and then make sure to take in views from the expansive bridges to see the downtown lights on the water. If you are looking for a running spot, Memorial Park is a great 3-mile loop that is also beautiful! The Houston Polo Club – The Houston Polo Club is one of my favorite ways to spend a Sunday afternoon. It is located on 26 beautifully wooded acres just minutes from the Galleria. The Houston Polo Club is the largest polo club in the United States and is also considered one of the top polo clubs in the world. I grew up riding horses in California so this Houston spot feels particularly like home to me. I believe that everyone should experience how wonderful polo is! It is an inexpensive way to spend some time with your friends and family in a gorgeous, relaxing, and unique environment. For the perfect day, end with a meal at Brasserie 19 or Pass and Provisions. The Menil Collection – This is one of my favorite museums in Houston. The Menil is a place that I can always count on to be inspiring. The exhibitions are never to be missed; with art by some of my favorite artists, such as Salvador Dalí, René Magritte, Fernand Léger, Andy Warhol, Mark Rothko, and Pablo Picasso (the list goes on and on). It is a delightful and engaging place to spend a day browsing around. Make sure to check out the Rothko Chapel and to grab lunch at Pax Americana after – the makings of a lovely weekend. Cezanne Jazz Club – This is a true Houston gem! The jazz club sits above a lovely British pub called the Black Labrador. It is a very imitate space with a small bar and limited seating, open on Friday and Saturday nights at 9pm until midnight. It is a wonderful space to experience local jazz up close and personal. Cezanne’s is particularly special around the holidays; go to see the decorations, have a warm drink, and get some great music in! The Rockets – I love the Houston Rockets! My boyfriend surprised me with tickets to a game and I am so glad he did! The games are at the Toyota Center in downtown. Basketball has become one of my favorite sports, very fast-paced, packed with spirit. I don’t think I’ve ever jumped and cheered so hard in my life! I will always be a proud Houston Rockets fan! Mezzo-Soprano Megan Mikailovna Samarin is featured this fall in two Houston Grand Operaproductions. First she will sing the role of Sesto in Julius Caesar, opening October 27 at the Resilience Theatre in the George R. Brown Convention Center. Then she is Carla Mae in the world premiere of Ricky Ian Gordon’s The House Without a Christmas Tree. She’s a 2017 Gerda Lissner Foundation International Vocal Competition Second Place winner, and performed at Carnegie Hall for the Gerda Lissner Foundation Winners Concert. She was also a finalist in HGO’s Eleanor McCollum Competition Concert of Arias. Ms. Samarin holds a Bachelor’s Degree from the Manhattan School of Music in New York City. An alumna of the Houston Grand Opera’s Young Artists Vocal Academy and the Houston Grand Opera Studio, she is also a fellowship recipient of the Aspen Music Festival. From the wacky Baroness Aspasia in The Touchstone to the young shepherd in Tosca and now the doomed son in The Juniper Tree, Megan is one of the busiest singers at the Trap this summer! Which experience(s) most influenced your decision to become a professional singer? What’s the earliest point in your life that you can identify in pointing you in this direction? I grew up hearing my Grandmothers sing in Russian church. Their voices were beautiful! One of them would start a song, and everyone else would join in with harmonies. This music has been passed down for generations; no sheet music, no instruments. I remember standing there and thinking that that music was absolute bliss! I am so grateful they could show me how important music was at such a young age and I sing to honor them always! What aspects of your role in this summer’s opera are natural fit with your personality and/or which aspects are a stretch for you? My role as the Son/Bird in The Juniper Tree couldn’t be more different from who I truly am day-to-day. I’m nothing like an actual young boy, and that kind of person is so far away from where I naturally live in my body. However, being able to play characters that are outside of my comfort zone like this is exactly why I love this art form so much! I enjoy the challenge and love exploring what I can learn about myself through completely different mannerisms and ways of thinking. The Son/Bird is such a lovely and innocent character. He simply wants to make connections with his family. Unfortunately, there is a wicked turn of events where he is chopped up by his step-mother and fed to his father. While I know that this is shocking, I admire how he comes back for revenge to make things right. He must not only be reincarnated, but he must also be strong enough to grow up to bring his family back together. I am a huge Grimm’s Fairy-Tale fan, so this one is especially fun for me! Can you tell us an anecdote or story from your training or career so far that will give us insight into what makes you tick as an artist? While I was in college, I was able to volunteer for the Metropolitan Opera Membership Program. Because of this, I was lucky enough to attend tons of shows (I must have seen every night of their new Rigoletto production). This is when I truly fell in love with opera. I learned so much from standing all the way in the back of that enormous theater. I think seeing and hearing those amazing singers so often fueled me as an artist. They are the reason I need to do this for the rest of my life! What’s your favorite part (or parts) of the preparation/rehearsal/performance process(es)? I love it all! Performing is unlike anything else! Somehow, being in front of people is a safe place. I am a bit of a “stage animal”, if you will. I can’t help but absolutely love exploring new characters and digging into new ways to tell their story, as me. Do you have any artistic heroes? People whose careers or artistry you particularly look up to? FLICKA. Need I say more? I was able to work with her on Cherubino from Le nozze di Figaro by Mozart, one of her most famous roles! It was a life changing moment for me. There are too many! There are so many wonderful roles that I want to dig into – Octavian, Romeo, Carmen, Mélisande, Rosina, Donna Elvira, (the list goes on and on). But I my most recent obsession is Cendrillon! I think the music is pure heaven! I have always been in love with Cinderella of all forms, but this French version by Massenet has my heart. She is so pure, innocent, and loving. I think it would be such a joy to be Cendrillon; to find my true love and to whisk away the evils of the world through kindness. I love it so much I even listen to it while I drive. I cannot wait to sing Cendrillon one day! What’s the most exciting thing you think is happening in the opera industry today? The most discouraging/challenging thing? I think that opera is so important in the world that we live in today. I believe that opera is an art form that is all about connecting with others, whether it be on stage or off. How often do people get the chance to sit in a room and focus solely on relating to one another? There are so many new operas that are being premiered around the world that speak so strongly to all of us. As an example, I was in the World Premier of O Columbia by Gregory Spears and Royce Vavrek at Houston Grand Opera. It focused on the 2003 loss of the Space Shuttle Columbia. We were able to sing for current employees at NASA, some who even worked on the mission themselves. It was a raw experience that completely changed me as an artist. The whole rehearsal process meant so much to me, and I felt that the opera was so special to premier in Houston. It was a beautiful thing and I believe that it is direct proof of how important opera can be! I would have to say that I would love to travel back to the 1800’s and meet the Bronte sisters, Jane Austen, and Emily Dickinson. Of course, Dickinson was alive a little later. So maybe I can do two trips to meet them all? All their works have inspired and shaped the way I see storytelling. Literature was my first love, and I am so lucky to have found an art form that incorporates not only lush librettos, but also beautiful music and acting. Digging into opera librettos are a huge part of what fuels me as an artist! Also, speaking with Dickinson through her bedroom door would be unreal! I have a new border collie puppy who loves opera! He loves when I practice at home and will curl up under the piano to listen. He is and will always be my best audience! My sisters and I all sing. All three of us love playing piano and making music together! (You can imagine how loud our home is – sorry Dad). We grew up singing in church and choir together; not to mention we still provide the entertainment at every family event. It is something that has always brought my family together and we are so grateful for it! Click here to read the full Opera News story. Growing up in California, Megan Mikailovna Samarin played piano and sang in her grandmother's Russian church. But it wasn't until she joined a middle school choir that she fell in love with classical music. Going on to the Manhattan School of Music — and New York City was very different from California, she says — Samarin caught the eye of the folks with Houston Grand Opera. She is now starting her third year as one of the studio artists in a program designed to develop future professional opera singers and help them launch their careers. Samarin and other HGO studio artists will have a chance to show everything they've got in the upcoming two performances of the HGO Studio Showcase, which will include selections from Faust, La bohème, Lucia di Lammermoor and Carmen. “This year I will do a scene as Romeo – it's a pants role. I'll also be Concepcion in L'heure espagnole by Ravel; this seductive woman has multiple lovers she hides from each other and her husband. I'll be a gypsy in Carmen and a nun,” says Samarin, laughing. Megan Samarin was an emerging artist at Seagle Music Colony during the summer of 2013 and was seen as Larina in Eugene Onegin and Cherubino in the children’s opera The Three Little Pigs. Since then her career has had a steady climb and she was recently featured in the “Sound Bites” section of Opera News magazine – a column that follows up and coming singers in the opera world. See the article HERE. During the coming season, Megan will be singing Carla Mae in the world premiere of Ricky Ian Gordon’s The House Without a Christmas Tree, as well as Sesto in Julius Caesar with Houston Grand Opera. She will also sing Clara Schumann in Loving Clara Schumann with the Mercury Symphony. She spent the summer of 2017 as a member of the Wolf Trap Opera, and the past two full seasons as a part of the Houston Grand Opera Studio. During her time in Houston, she sang and covered many roles including Siebel in Faust, Cherubino in The Marriage of Figaro, Second Lady in The Magic Flute, and Julie Jordan in Carousel. She was a part of the Glimmerglass Opera Young American Artist Program in 2015 and sang Marzia in Cato in Utica. Also in 2017, Megan was Second Place winner in the Gerda Lissner Foundation International Vocal Competition and performed at Carnegie Hall as part of the winners’ concert. She was a 2016 Sara Tucker Study Grant award winner and a 2017 District Winner in the Metropolitan Opera National Council Auditions. When asked about how her summer Seagle Music Colony has impacted her career thus far, she answered: Seagle Music Colony is a very special place! While I was there I believe I did every show possible, even the children’s show. I learned how important performing is and how much I love it, even if your audience is still in kindergarten! Since then, I have loved to be on stage. I thrive in that kind of environment and Seagle Music Colony was a big part of that beginning for me. I am grateful for Seagle and for the great friends I have made along the way. I still love hearing Darren’s famous “woo!” in the audience when a Seagle pumpkin is on the stage!